Coaching Licenses: USSF National "D"
Coaching License: USSF National "D"
Coaching License: USSF National "C"
Coaching History: Previous coaching was GGSL and board member there. Hilton Heat, Riverflow, and Greece Buccaneers. Coaching History: 26 years of coaching experience. 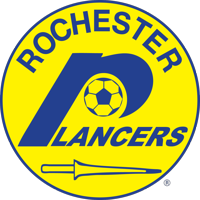 Currently Rochester Lancers Assistant Coach for outdoor and indoor teams, Head coach at Aquinas Institute, Fairport Soccer Club. Previously Rochester Ravens, ODP, Elmira College, Roberts Wesleyan College, McQuaid HS, Canandaigua HS, Assistant Director of Coaching Fairport Soccer Club, Empire United, Rochester Jr. Rhinos, Rochester Mavericks. Playing History: Alfred University (1988 – 1992): Two-Time All Conference, Player of the Year 1992, 1991 ECAC Championship.